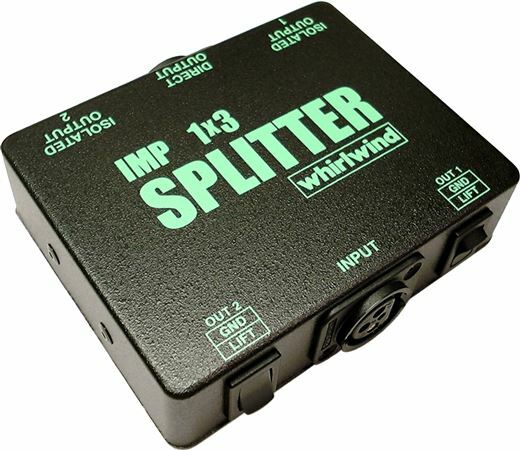 Shop Whirlwind SP1X3 1x3 Microphone Splitter from AMS with 0% Interest Payment Plans and Free Shipping. Ever needed your signal to go to two places at once? The SP1X3 provides one direct and two transformer isolated outputs, respectively, from a mic level input. Each transformer isolated output on the device features a ground lift switch.